It’s the start of spring, which means the weather is getting warmer, flowers are beginning to bloom and new lives are begining. This time of year makes for the perfect opportunity for you to get out and take a walk to experience the wildlife around you. To help you decide where best for you to walk we have put together a list of 20 great spring walks from all over the UK. This walk is special but not just because it allows you to walk across the famous White Cliffs of Dover. You’re sure to see a huge variety of wildlife along the walk, from butterflies to kittiwakes. This simple walk starts at Porthcothan beach and follows the coastline along seven bays. These bays also have a deep history as they were once used by smuggelers, now the route allows people to walk along the coastline and witness beautiful views of the sea. This walk is popular with many people visiting the Peak District. This walk allows you to use the famous Dove Dale stepping stones to cross the River Dove. The walk takes you along a variety of different habitats, from caves to medows. This walk is most memorable for the sights of the beautiful waterfalls of the Buckden Gill along the track. The walk also passes by the remains of Buckden lead mine and the War memorial for Polish airmen, giving you plenty to look at and explore. The walk is a loop around the Snape marshes, giving you amazing views with a pub or two to refresh yourself on the way! Not all of the UK’s great walks are in the countryside. 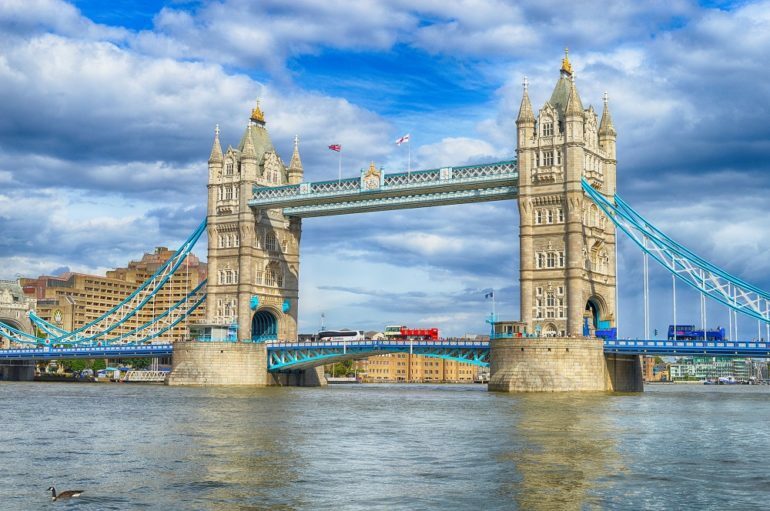 This urban walk gives walkers the opportunity to see some of London’s most iconic sights, such as Tower Bridge. This walk follows the Thames path along south bank and is great for everyone due to it all being along the pavement. This walk is perfect for those who don’t want to be out walking for hours as it is only one mile long. The hight of the hill gives you stunning views of the Dorset countryside and the nature it features. 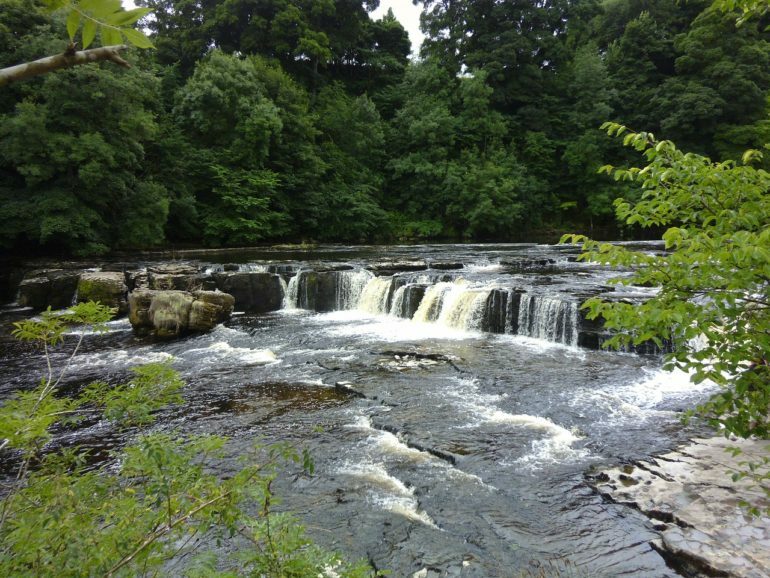 This beatifully scenic walk allows you to walk along side the upper and middle falls of the River Ure. This short walk also takes you through wooded areas and the surrounding fields. Meaning it is a great place to walk in spring to see the flowers beginning to bloom. This walk is perfect for spring as the Daffodils are in bloom in the woods and fields along the walk. The best time to take in these beatiful sights is in March and April when all the Daffodils are out. This short walk of about 40 minutes without stopping takes you to the Fairy Pools. These are small waterfalls that flow into pools of crystal clear blue water. If you are able to brave the cold you can take a swim in the larger pools. 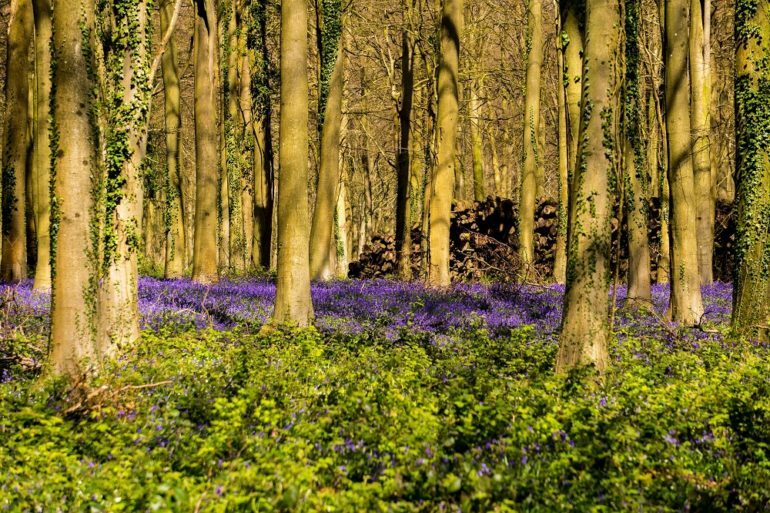 In spring time the Bluebell woods are a stunning place to walk. The walk leads you through woodlands filled with thousands of the vibrant purple flowers. Also taking you past an old school house, through fields and past the stunning lakes. This is a circular walk that follows the coast of Rosemullion head on the edge of Falmouth Bay. This walk gives you the oppotrunity to see a variety of wildlife, from fish to unique plants, in marine gardens along the coast and along the Helford River. 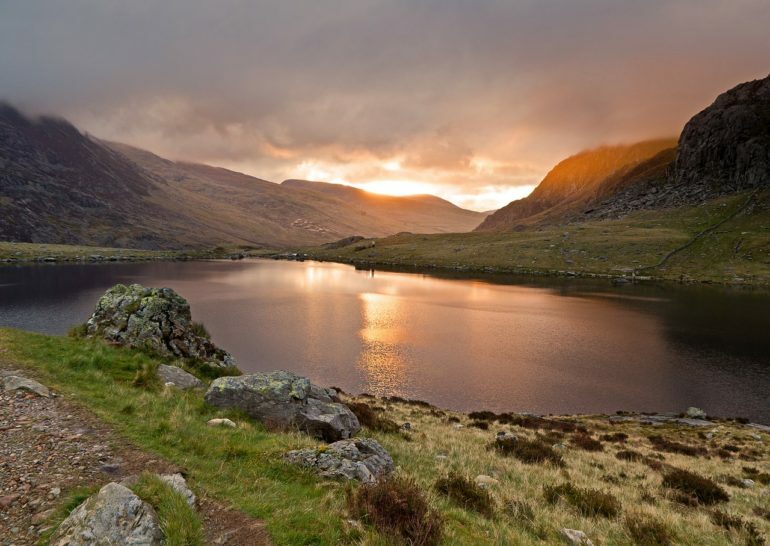 This walk is for the more experienced walkers as it takes you up into higher terrain to give you amazing mountain views and you will also be able to see the Llyn Idwal lake. It’s great for a spring walk as it gives you the opportunity to see the rare wildlife growing in the mountains. This walk is full of beautiful scenery along the way, from the four waterfalls to woodland. It also gives you the unique and thrilling opportunity to walk behind a waterfall. With much for all the family to explore it’s a wonderful place to walk in spring. This area is known as one of the best walks in the famous Jurassic Coast due to its coastal views and its woodlands covered in wild garlic, Bluebells and Daffodils. 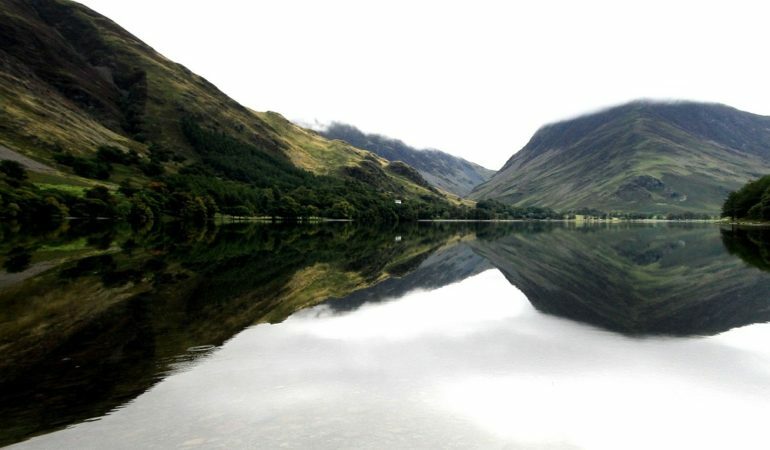 Know as one of the best lake walks in the Lake District due to its spectacular views. In spring time, the mountains surrounding the valleys are covered in wild flowers such as Bluebells. This walk is not for those looking for a quick walk as it takes around 5 hours. This is a popular section of the 127-mile Liverpool Canal that gives you a unique urban walk. 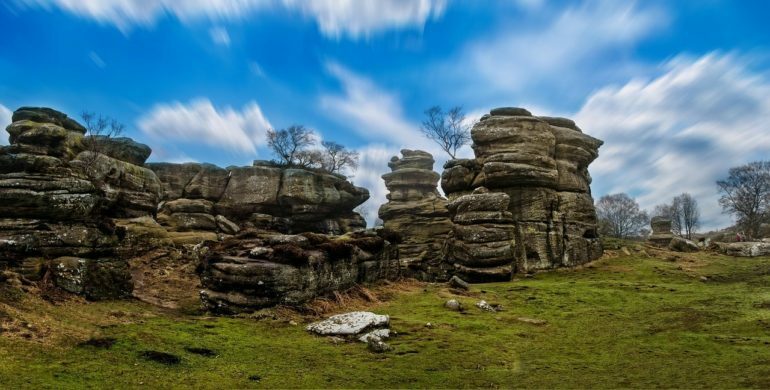 This is a short circular walk that shows you the amazingly unique rock formations of Brimham. With rock formations such as ‘The Gorilla’, appropriately named for its resemblance to the animal, there’s plenty to look at as you follow the footpath. This walk is famous for around 500 trespassers from Manchester walking across Kinder Scout in 1932 so everyone could have the right to open country. Therefore, this trail is great for those who are interested in experiencing a piece of history. The surrounding foliage is also beautiful in the spring with wild flowers. Wicken Fen comes to life in spring with all different types of wildlife, such as Cuckoos and rare Konik ponies. This makes it an exiting walk to do with all the family.